Food web ecology – Brent Hughes, Ph.D. The last several decades of research has revealed a startling trend in the world-wide decline of both coastal ecosystems (seagrass, kelp, marsh, and corals) and marine top predators. This has resulted in the near collapse of many coastal fisheries and loss of ecosystem services, such as carbon sequestration, shoreline protection, and nursery grounds. However, decades of policy and management actions protecting marine predators, such as the Marine Life Protection Act, Endangered Species Act, Marine Mammal Protection Act , and the Fur Seal Act has enabled the recovery of certain top predator species along the northeast Pacific coast. Hughes, B.B., R. Eby, E. Van Dyke, M.T. Tinker, C. Marks, K.S. Johnson, K. Wasson. 2013. Recovery of a top predator mediates negative eutrophic effects on seagrass. Proceedings of the National Academy of Sciences USA 110:1513-1518. Hughes, B.B., K. Hammerstrom, N. Grant, *U. Hoshijima, R. Eby, K. Wasson. 2016. 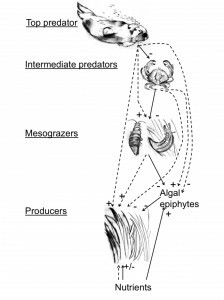 Trophic cascades on the edge: fostering seagrass resilience via a novel pathway. 182:231-241. Oecologia. Eby, R., R.S. Scoles, B.B. Hughes, K. Wasson. 2017. 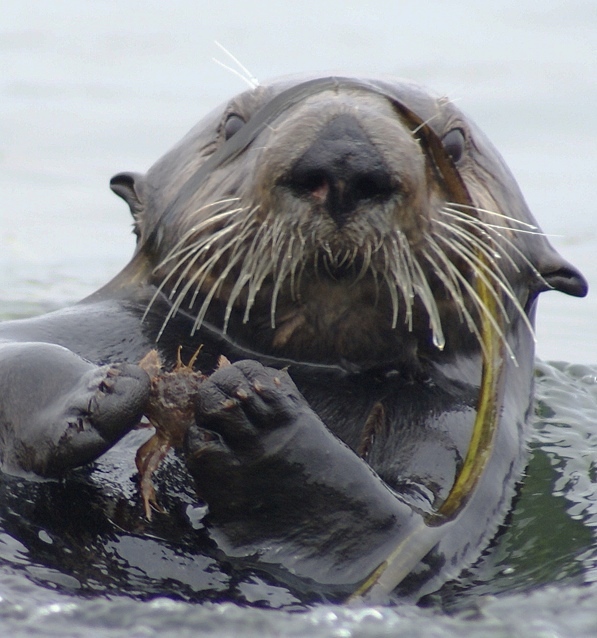 Serendipity in a salt marsh: detecting frequent sea otter haul outs in a marsh ecosystem. In press. Ecology.